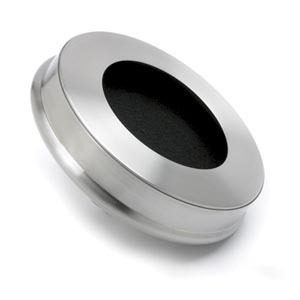 These stainless charcoal filters are designed to work with our Stainless Steel Compost Pail which is perfect for collecting food scraps for your compost pile . The charcoal filters trap odors in the pail so you can keep the compost pail in a handy place on your counter until pail is full. They come in a pack of 2 but can be rinsed and reused. Once the odors return quickly after rinsing, it's time to replace.